Novosibirsk is the 3rd largest Russian city with the 1.5 million inhabitants. It was founded in 1893. Geographical coordinates: 55’02 N, 82.55 E. Local time: GMT+6 hrs and GMT+7 hrs DST, Moscow+3 hrs. 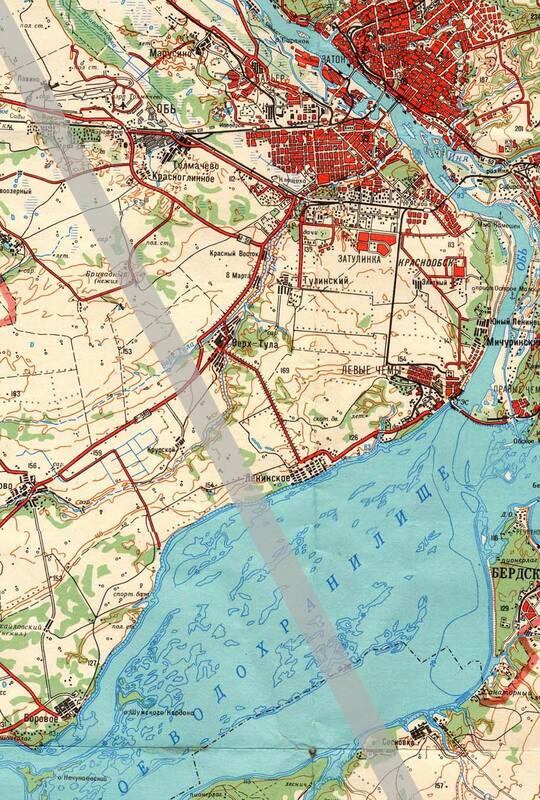 The city center is situated within only 15-20 km from the central eclipse line of August, 1 2008 (line width is 248km). That’s why the Eclipse can be seen right in the city. In this case instead of 2:20 min the full phase of the eclipse will last for 2 seconds less. If you might sacrifice 2 seconds, the most comfortable places for observation are Eastern embankment of Ob river, square at State Technical Library, square at Opera House, square at Glory Memorial on left-side bank, as well as every other open place, where you will be able to see the western part of the sky up to 25°. The full solar Eclipse will be viewed from Novosibirsk at height 30° above horizon (azimuth 257°). 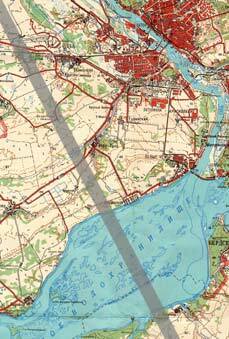 Those who wish to view the eclipse only at the central line can head for the Tolmachevo airport region or Ob Sea reservoir at settlements Verkh-Tula, Leninskoe, and in Berdsk city. Foreign observers can combine Eclipse viewing with Novosibirsk sightseeing. Below you can see the list of the most interesting sights, some of which represent astronomical interests. The TAL-FACTORY (“Novosibirsk Instrument-Making Plant”), which produces TAL telescopes. Excursion includes optical and assembling plant sections and plant’s exhibition. 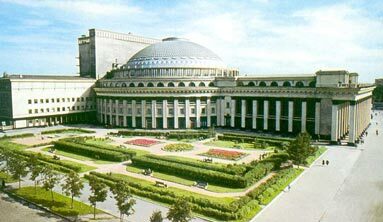 Novosibirsk PLANETARIUM, situated in the Siberian Geodesy Academy. It’s quite a small planetarium (for up to 30 pax) with Zeiss telescope and unique Moon globe. Siberian Geodesy Academy has Chair of Astronomy and Gravimetry and trains astronomy specialists in Siberian region. A new planetarium, supposed to be the biggest in Siberia (with 16 meters dome diameter) would be built by the Solar Eclipse in 2008. Novosibirsk PICTURE GALLERY, opened in 1958, today is one of the most conspicuous museums of Siberia and is home to about 8,5 thousand works of art. The old Russian art is represented by an interesting collection of icons from 16-th to 19-th century. The Gallery possesses the works of greatest masters of Russian realism: Repin, Surikov, Shishkin, Kuinji, Tropinin, Bryullov, Levitsky. There are 60 paintings of Nikolai Roerich, a pride of the city. A work of Apollinary Vasnetsov named “Solar corona” and painted after the Solar Eclipse 1914 observation, is represented here. OPERA and BALLET HOUSE, the symbol and landmark of Novosibirsk was opened in 1945 and completely renewed in 2006. GEOLOGY MUSEUM in Akademgorodok numbers about 800 minerals. Among the most precious exhibits you will find a meteorite collection with the overall weight 102 kg. SUN MUSEUM in Akademgorodok has gathered more than 400 exhibits devoted to Sun, such as illustrations of representation Sun in local traditions, images of Solar “gods” and Solar symbols in rock paintings of ancient people, handiworks of local craftsmen, devoted to Sun and solar themes. MUSEUM of ARCHEOLOGY and ETHNOGRAPHY at the Institute of Archeology and Ethnography of Siberian Branch of Russian Academy of Sciences. Expositions present the materials of the Paleolithic, the Neolithic, the Bronze and the Iron ages, as well as medieval times. The most interesting and valuable exhibits are those of Pazyryk Culture. Look at ARHAEOASTRONOMY section. OPEN AIR OLD TRAINS MUSEUM, the only in Siberia and second in Russia after that of St.Petersburg has more than 80 trains used at different times in Russian railway.